Urban Jungle Wildlife Removal, LLC provides the absolute best services for wildlife removal and pest control in Houston and the surrounding area. Locally owned and operated, our team is comprised of degreed Wildlife Biologists, all experts in Mammals, Birds, Reptiles, Amphibians and Insects. Nuisance wildlife can cause untold damage. Animals can destroy insulation, wires, safety gear/devices, as well as cause serious damage to facilities that can promote other issues such as structural instability of roofs, HVAC systems, etc. Our team of Wildlife Biologists can take care of any of your wildlife trapping, exclusion and remediation needs. All Urban Jungle Wildlife Biologist have at least a bachelors degree or higher in Wildlife Biology. We are hear to take care of your needs, and we guarantee our work. 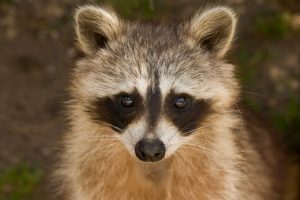 We will deal with any of your wildlife and pest control needs, Including: Raccoons, Squirrels, Opossums, Rats, Bats, and more. If you have a question about our company and services, we have answers.